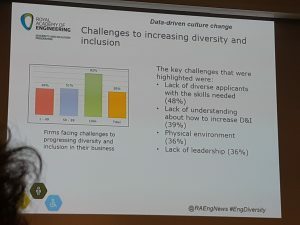 Dr Sara Walker, a keen advocate of Equality, Diversity and Inclusion (EDI), discusses the EDI imbalances in engineering and how the Supergen Energy Networks Hub hopes to address it. Dr Sara Walker is an Assistant Director and Co-Investigator of the £5 million EPSRC funded Supergen Energy Networks Hub. Additionally she is also Associate Director and Co-Investigator at CESI. 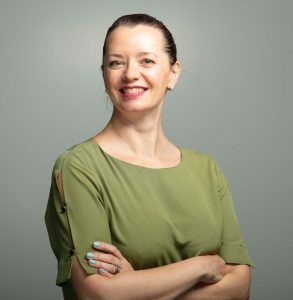 Her research focus is regarding renewable energy technology and transitions to low carbon systems, with a particular focus on policy and building scale solutions. She is Director of Expertise for Infrastructure at the School of Engineering at Newcastle University. 42% of surveyed companies planned general activities around diversity and inclusion. That means those activities typically aren’t aligned to any strategic plan and the impact of activities aren’t being measured, in the majority of cases. Across the energy sector, Powerful Women report a similarly disappointing picture for the top 80 energy companies. The Supergen Energy Networks Hub wishes to better understand EDI for the community, to develop and implement good practice in EDI in the way we engage with the community, and to create a sense of belonging for all regardless of background. Well firstly because it is the right thing to do. Discrimination is not something we wish to support. We intend to engage widely in a way which is inclusive to all. And secondly, because it is good for research. Diverse teams outperform homogenous teams for creativity and innovation, which is just what we are looking for in order to tackle the thorny issue of future energy networks. Thirdly, it makes business sense. There is strong evidence that diversity in the workplace results in better financial performance (Powerful Women report companies in the top quartile for gender diversity outperform those in the bottom quartile by 35%). To agree an action plan for the 4 year duration of the Hub. To continually monitor EDI, to evaluate the impact of the Action Plan, and to update it as required. Complete our first EDI audit here.